Sometimes the best thing to do is just doodle. That’s how longtime Aardman director Nick Park came up with the idea for the company’s latest stop-motion animated film, Early Man. He knew he wanted to do something about cavemen but that was as far as the idea went. Then he started drawing. Park continued to explore the idea. Which is, exactly what Early Man, starring Eddie Redmayne, Tom Hiddleston, and Maisie Williams, is about. 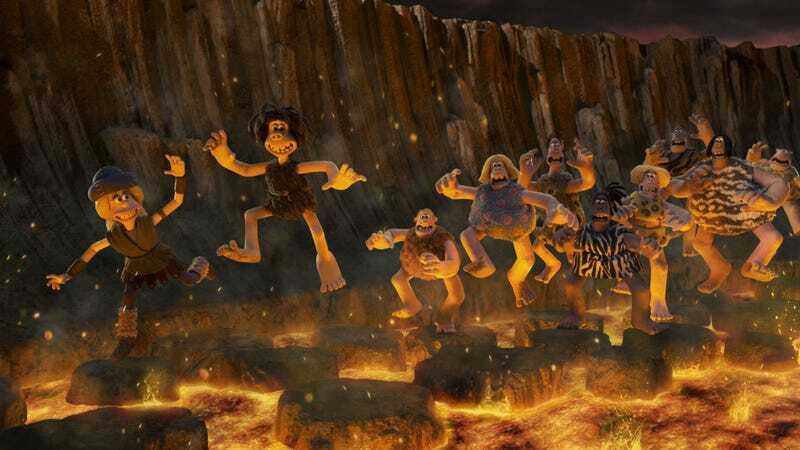 A group of stone age cavemen is forced out of their homeland by a conquering world of bronze. Then, one of the cavemen Doug (Redmayne) challenges an evil leader (Hiddleston) to a game of soccer to decide the fate of their land. Williams’ character Goona is a shop owner living with the conquerors, who’ve mastered bronze. She winds up helping the cavemen. Park describes the idea of making Early Man a soccer movie as a “lightning strike” moment. That’s ironic because, in the meticulous world of stop-motion animation, rarely does anything happen that fast. He’d know too. Park has been with Aardman since 1985 and in that time he and his colleagues won four Oscars for Wallace and Gromit movies, made multiple hits like Chicken Run and, now, have Early Man. 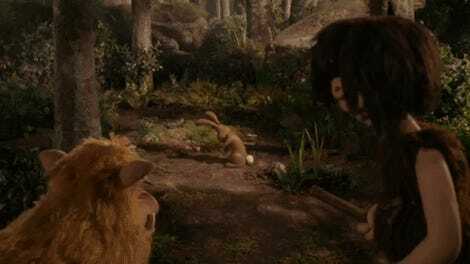 As you’d expect after over 30 years in the business, Early Man is Aardman’s most ambitious film to date. As such, stop-motion could only tell part of the story. 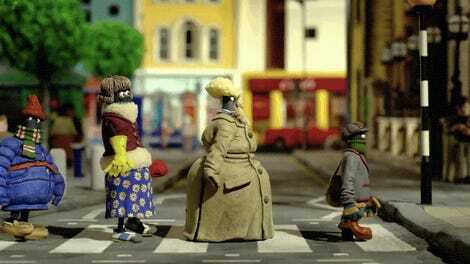 That’s not to say the film gets away from that iconic Aardman aesthetic though. All of the primary characters are hand animated in a process that dates back to the days of Ray Harryhausen and captures only 3 seconds per day... on a good day. Plus the production built plenty of large sets, such as the soccer field (or football pitch) needed for some of the films’ most elaborate scenes. Early Man opens this Friday, February 16. First image from Aardman Animation&apos;s Pirates! In an Adventure with Scientists!